One of the region’s longest serving human service organizations is also proving to be one of the most innovative and responsive to the community’s critical heroin problem. In 1896, Volunteers of America began caring for Louisville’s poor and set up the nation’s first system of halfway houses for released prisoners. Today, the organization is still serving the most vulnerable people in Louisville and a five-state region, including homeless families with children, adults with developmental disabilities, and people battling addiction – including pregnant women. 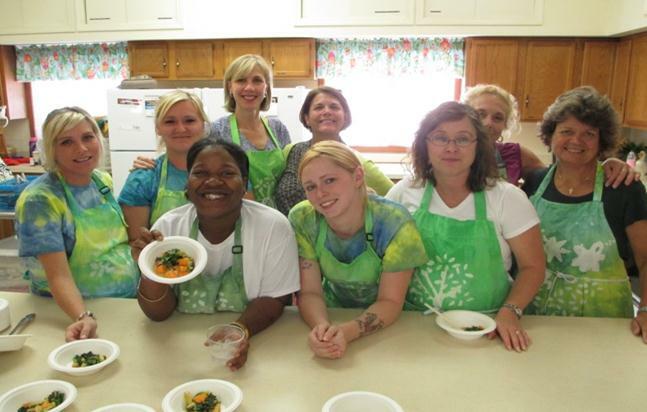 In addition to intensive addiction treatment, immediate referral to prenatal care, and intensive case management, women served at Freedom House get a chance to learn healthy meal preparation at regular visits to the Shawnee FreshStop with help from the ChooseWell team of supporters. The staggering rise in heroin use has overwhelmed treatment programs across Kentucky. Freedom House, Volunteers of America’s comprehensive addiction recovery program for pregnant and postpartum women and their children, is no exception. This residential treatment program — one of only three in Kentucky and the only fully accredited program of its kind in the Commonwealth — helps women get clean and sober, deliver a healthy baby, and start on a path to long-term recovery. Women receive intensive therapy and case management, immediate referral to prenatal care, life and parenting skills education, and other support throughout their pregnancy and after they deliver. of its facilities, including its neonatal intensive care services, inpart to care for drug-exposed newborns. The financial and health burden that Freedom House eliminates is significant. For every baby born drug-free to a mother who used substances during her pregnancy, University of Louisville researchers estimate $250,000 of savings in post-delivery, public-sector health care costs. 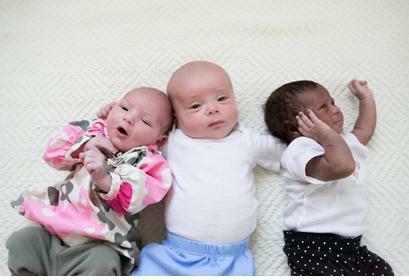 With 93 babies born drug-free to women at Freedom House since it was created, that’s an estimated $23 million positive financial impact for the state. Meanwhile, Volunteers of America’s wait list for Freedom House continues to grow. But waiting for addiction treatment simply is not feasible for an expectant mother – it’s critical to get clean early in the pregnancy to ensure a healthy delivery. Volunteers of America helps pregnant women get clean and sober in time to deliver a healthy baby. In response to growing demand, Volunteers of America launched a $600,000 capital campaign this fall to renovate and double the capacity of Freedom House. Phase one, near completion, creates a new 12-bed unit to house women during their pregnancy, while phase two includes a complete renovation of the current program site — including six apartments for post-partum women and their children — at Volunteers of America’s clinical campus on South Shelby Street. A little more than half of the funding for the project has been secured and a three-year, $1.3 million grant from the Substance Abuse and Mental Health Services Administration within the U.S. Department of Health and Human Services will cover operating costs. Funding for bricks and mortar, which provides much-needed space for Freedom House to operate, is harder to come by. That’s why Volunteers of America is calling on the community for support. Freedom House made all the difference for Ashley Kirchhubel, a 31-year-old Louisville woman who abused heroin and pain pills before entering drug treatment early in her pregnancy with her fourth child. She credits Freedom House and its clinical staff and family advocate for helping her get clean. She gave birth to a healthy baby boy, Isaiah, in September, and will celebrate a year of sobriety next month. 93 babies have been born drug-free to mothers receiving services at Freedom House since the program began.